Nothing says nature like green, and it appears that beekeepers have decided to go straight for the wallet in an ongoing attempt to draw attention to the honeybee plight. On Tuesday, beekeepers and environmentalists came together to lay out the impact of honeybees on the U.S. economy, showing the substantial monetary effect long-range fall out that colony loss can have on the food system. According to one apiary owner at the conference, the value of his colonies tops $5 million in just 6 months: "$500,000 from California almonds in January, $800,000 from Georgia blueberries in March, $2 million from Pennsylvania apples and cherries in April, $500,000 from Maine blueberries in May, and $1 million from Pennsylvania pumpkins in June." Numbers like these have earned the honeybee status as the most important pollinator in the world. 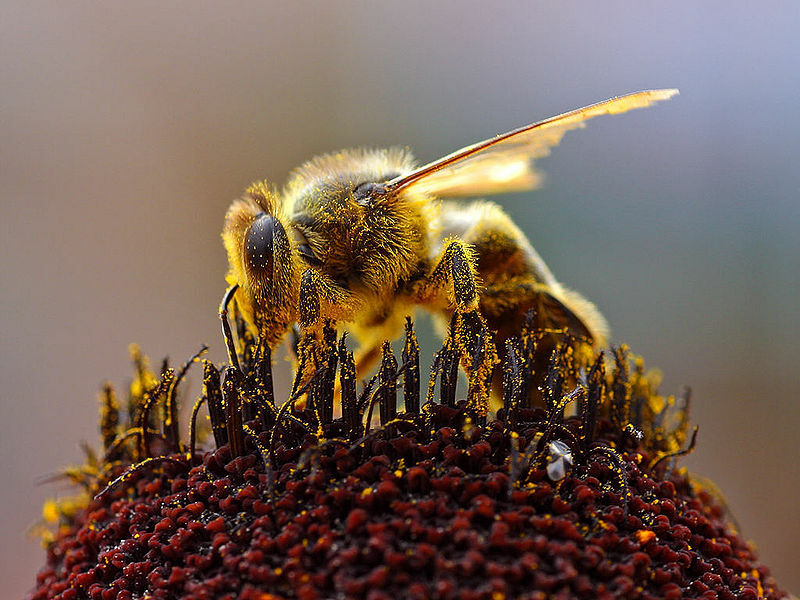 Study after study points to pesticides as the likely culprit in the decline of honeybees. But as Claire Thompson points out in her Grist article, trying to get Big Agricultural to change its ways in an election year isn't likely. If any reason could convince industrial agriculture to become more sustainable, though, it may be profits. That's amazing to think that the apiary owner who is mentioned has honey bees that clear 5 million in six months. Pointing out the nationwide effect and the different foods that may suffer was a great idea. nice short piece with some important points - thanks!